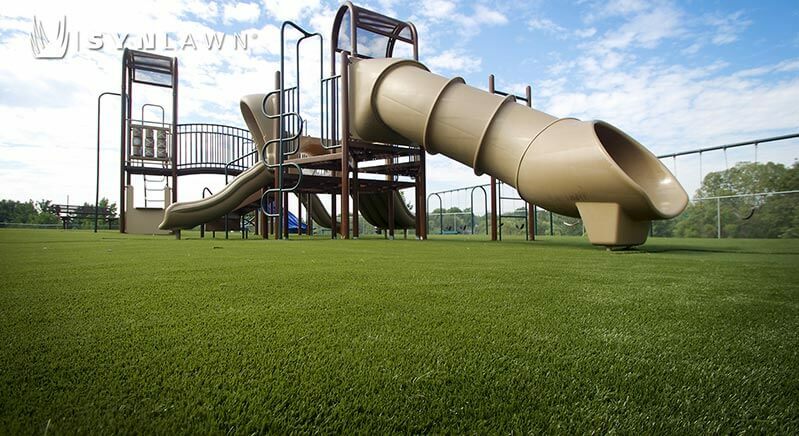 SYNLawn® Kansas City is the proud supplier and installer of SYNLawn® artificial grass and synthetic turf in the states of Missouri, Kansas, Iowa and Southern Illinois. Our artificial lawns have been engineered in a state-of-the-art research and development lab to bring you the highest quality synthetic grass in the industry. You’ll be amazed at how our products replicate the realistic look and feel of natural grass, and what they can do for your outdoor space. When you purchase SYNLawn® artificial turf, you know you’re getting a quality product that will last for years to come. Whether you’re buying artificial grass or golf greens for your backyard or for your business, SYNLawn® is the right choice if you’re looking for a durable, realistic looking artificial lawn or putting green. Our mission is to lead the synthetic grass industry through product innovation, reduced environmental impact and customer service excellence. When you invest in a SYNLawn artificial grass installation you’re saving time and money. Our synthetic grasses make maintenance a breeze so you will save water and have more time to spend enjoying your yard. At SYNLawn® of Kansas City, we love helping our customers create the lawn of their dreams. Let us help you find your perfect artificial grass solution today.